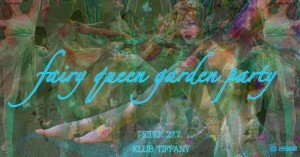 The royal house of Tiffany has the pleasure of inviting you to the most magical party of this year: Fairy Queen garden party. Leave your worries behind and immerse yourself in the soothing ambience of this exceptional event. Indulge your senses with our special fairy dust. Provided by our most beloved fairy queen mother. Our experienced team of elven entertainers will take you on a sensual and luxurious journey. Your slice of fantasy paradise awaits you, with our wonderful performers who will take you on a magical trip through the fairy queendom .